Today just about everyone is at least somewhat concerned about the environment. 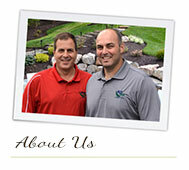 But did you know that working with a company like ours is one of the best ways to help protect our natural resources? • Trained professionals keep up to date on the latest treatments, so we can keep your property looking its best while using only what is needed when and where it’s needed for good plant health. • We work with these materials every day, so we know the proper percentages and mixtures to use and how to avoid potentially harmful spills and accidents. • By diagnosing and treating problems right the first time, we don’t use extra chemicals. And with a complete program, we keep your lawn and landscape healthy, and actually prevent problems that could require extra treatments. So, the environmentally smart choice, while keeping your lawn and landscape looking its best, is to let your lawn and landscape professional provide the environmentally friendly solutions. 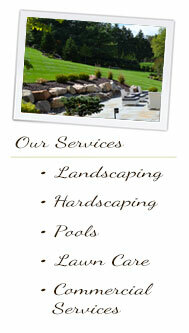 Call us today at (610)222-0590 for help with all of your landscaping needs. 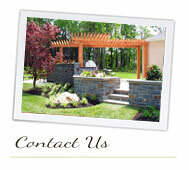 Moving water is pleasing to both the eye and the ear, and a waterfall can make your property much more relaxing. 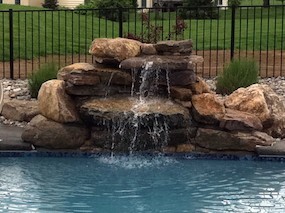 Preformed waterfalls are available, or customized versions can be constructed using liner fabric, rocks, concrete and a pump. 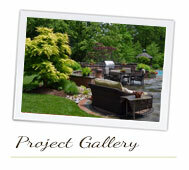 No matter how big or small your property or your budget, there’s a water feature option to suit every taste. Remember…even something as basic as a birdbath can have a big impact!